Samsung Galaxy Note 9's lowest price in Pakistan is 90,499. 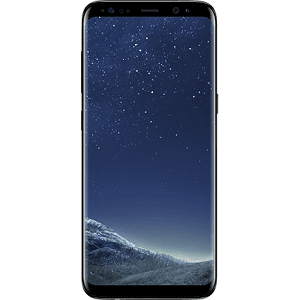 The online store HomeShopping offers the best price for this Samsung Mobile when compared among 6 sellers. As soon as a new smartphone’s launching date comes within a specific timeframe, the rumour mill begins to spin fast and throws out a lot to keep the fans curious. Same is the case with the upcoming Galaxy Note 9 and the smartphone is expected to come-out looking exactly like its predecessor, the Galaxy Note 8, with an expected price in excess of Rs. 110,000. 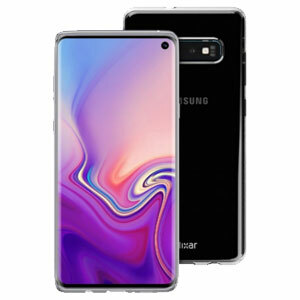 First and foremost, the rumour mill says that the Note 9 would feature a known Galaxy Note 8 like design; it is almost a given that the device would feature almost no bezels and an all front panel covering display. The smartphone’s dimensions and weight aren’t really confirmed at this moment in time but we’re expecting sleekness and premium-ness from all angles. “Infinity” display, not surprised yes? The Infinity display we’re talking about is a large 6.4 inches Super AMOLED capacitive touchscreen with 514ppi pixel density and improved 18.5:9 aspect ratio. That easily equates to a gorgeous 1440p HD resolution. Utterly stunning, visibly sharp and definitely made for the large screen lovers, the Note 9’s display would be a term synonymous with beauty. The rumour mill’s expectations from the smartphone’s camera sensors is pretty much what we expected. The back panel features a mighty 12 + 12 MP dual sensor camera with all the hunky features in store to make your snapping experience reach unprecedented levels. The 8 megapixel selfie sensor is a known quantity now but we’d advise you not to look at its quantity and feel bad; it’s its quality that matters which is something nobody in the world can doubt. The smartphone’s hardware specifications are pretty much unconfirmed now but what we do expect is that the Note 9 would definitely feature at-least 6 gigs of RAM. There have been conflicting reports of Samsung wanting to flex its muscles and go for 8 gigs of it. Finger crossed though! An octa-core hybrid processor would be backing the large amount of RAM to power the built-in Androdi Oreo while the internal storage gives you a 64, 128 or 256GB option to choose from. Other immaculate features of the feature-ladden flagship include the Bixby virtual assistant, iris scanner for increased security, rear-mounted fingerprint scanner, Quick-charge 2.0 and market dependent wireless charging. The battery sees a nice bump with 3850 mAh worth of power which should keep the Note 9 up for an adequate amount of time while lots of colour schemes that include Black, Blue, Grey and Purple plus many more expected to be launched later on bring an end to this round-up of the Galaxy Note 9. You know what’s August famous for right? Yes it definitely is our independence day on the 14th of this month every year but what we want you to guess is its significance in the smartphone world? If you hadn’t guessed it by now, August is that time of the year when Samsung unveils its newest phablet, the famed flag bearer of the company’s Note series. The Galaxy Note8 firmly put the Note7 battery fiasco behind the company. The smartphone was more than just a rebuttal to the unexpected demise of the Note7; it was a statement as to where the South Korean giants see themselves. Fast forward another year since the Note8’s release, the Galaxy Note9 is finally here. The rumour mill’s generosity gave us lots to ponder upon before the smartphone went official so we were nearly well-equipped with what the Note9 was to offer. Interested? All the details you need to know are just below the jump! While most other smartphone manufacturers are hell-bent on copying the iPhone X in one way or the other, Samsung has kept its cool and in-turn, has kept the extremely thin bezels that were present in the Galaxies since the days of the Galaxy S8. The Note8 is called “An even bigger S9” due to its synonymous-ness with the Galaxy S9 but when it comes to its design, the Note9 is a tad different. It inherits the rectangular design from the Note8 and thus has relatively sharper edges compared to the more rounded ones of the Galaxy S9. The build quality remains same with Corning Gorilla Glass 5 topped glass panels being present at the smartphone’s front and back. An Aluminum frame separates both the panels. Going into a little bit of numbers, the smartphone features what some would call thick, an 8.8mm width. That is attributed to the fact that the device accommodates a wealth of features which also includes standard IP68 certified dust and waterproofing that allows you to dip the smartphone for 30 minutes under water or go 1.5m deep without damaging it. That means that this bad boy is always ready for a swim. The 201g weight of the Note9 is attributed to its large 4000 mAh non-removable battery, but like the Note8, it doesn’t really feels above 200g when in the palm. One of Note9’s crowning features undoubtedly is its gigantic display. Everything but the size of the display was previously confirmed by the rumour mill and the official numbers suggest that the Note9 carries a large 6.4 inches Super AMOLED capacitive touchscreen. The Infinity Display stretches all the way from the smartphone’s bottom bezel to the top, occupying an 83.4% screen to body ratio which is a big value. Quality wise, the display features 516ppi pixel density that easily is available to produce a stunning 1440p HD resolution. This allows you to witness each and every detail with near-perfection atop the large front display; the Note9’s definitely capable of doing many things at one time and being an entertainment center due to its large and quality display is one of them. Samsung and excellent cameras is definitely a match made in heaven. We’ve reiterated Samsung’s prowess in producing some of the best smartphone cameras out there in the market time and time again and we simply won’t shy away from doing that one more time. 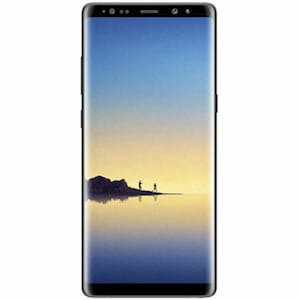 The Note9 features a relatively known quantity in its cameras department with the smartphone featuring two excellent cameras at both the front and back panel; the smartphone features a powerful and feature-rich dual 12 MP primary camera with phase detection autofocus, OIS and apertures ranging between f/1.5 to f/2.4 to allow different types of photography and videography modes. It wouldn’t be bad to say that the smartphone carries arguably one of the best cameras in the market at the moment and its selfie cameras, which features a rather modestly powered 8 MP sensor, is also capable of punching well above its weight. Don’t be fooled by the megapixels! It’s a trap! Time for the hardware… and the all new S-Pen! Some of the most talked about things of the Galaxy Note9 included its expected internal storage, RAM and the expected upgrades to the S-Pen. The rumour mill suggested that the smartphone would feature 8 gigs of RAM, an astounding 1 terabyte of internal storage and improvements to the S-Pen that were relatively unknown. Now with these figures, one can simply not feel bad about Samsung not going with 1 terabyte space in the Note9 as the above numbers are simply staggering. Both the variants are powered by a hybrid Octa-core processor with inherited GPUs from the previous Galaxy S9. The smartphone comes with Android Oreo out of the box but we’re positive that it won’t take long for the latest Android Pie (Android P) to make its way atop the Note9. Now about the S-Pen; the S-Pen sees added functionalities of being used for much more than just doodling around. The S-Pen can now be connected via Bluetooth to the device and be used from afar as well like in a presentation to name an example. Multimedia controls as we like to call them, are what the S-Pen is also capable of now. 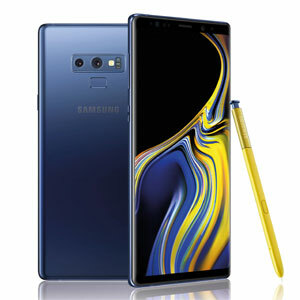 Other world-beating features atop the Note9 include the nifty Iris Scanner, a rear-mounted fingerprint scanner just underneath the primary camera setup, USB type-C, adaptive fast charging to power-up the 4000 mAh battery in no time, Bixby Virtual Assistant and an external card-slot capable of accommodating space up to 512GB. Lastly, the smartphone comes in loads of colours namely copper (brownish), blue, black and purple. The device’s premium build makes it look stunning in all of its available paintjobs which ends the Galaxy Note9 on a very high “Note” indeed. If we went on making a list, we’d just go on and on. Instead we’ll just label the smartphone as a “class of its own” smartphone which is equipped with whatever cutting-edge technology Samsung has available right now. The smartphone’s expected launch price is between Rs. 130 to 140,000. Start saving-up quick if you wanna get your hands on this! 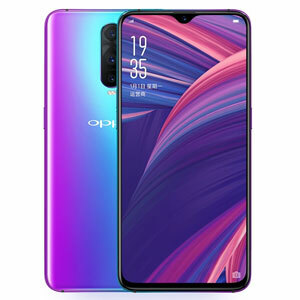 has this phone officialy launched in pakistan? 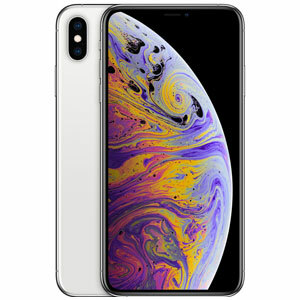 Some people talk about price and they never complain when Apple does it, Note 9 was a beast.